Q. 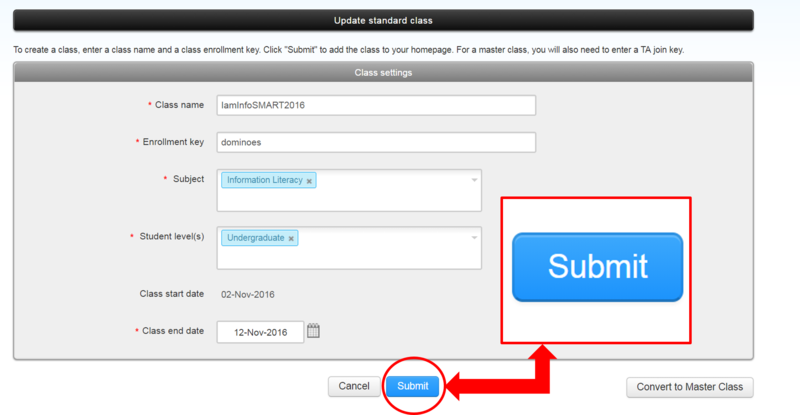 How to Reactivate Expired Class in Turnitin? 1. 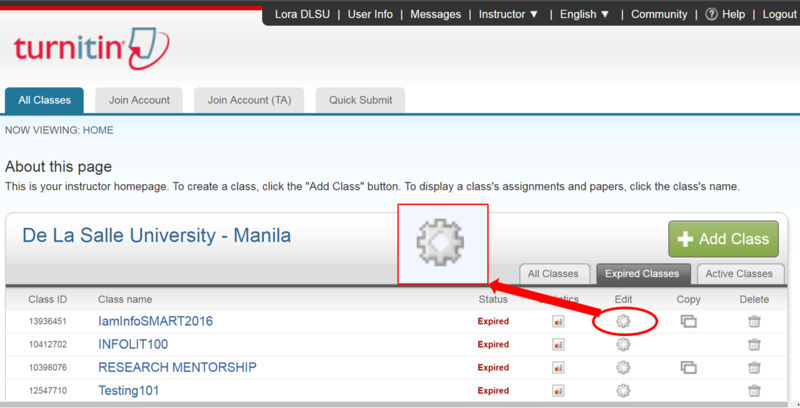 Click the Expired classes tab on the Turnitin instructor homepage. 2. Click the settings icon of the class that you wanted to update/edit the (end) date. 3. 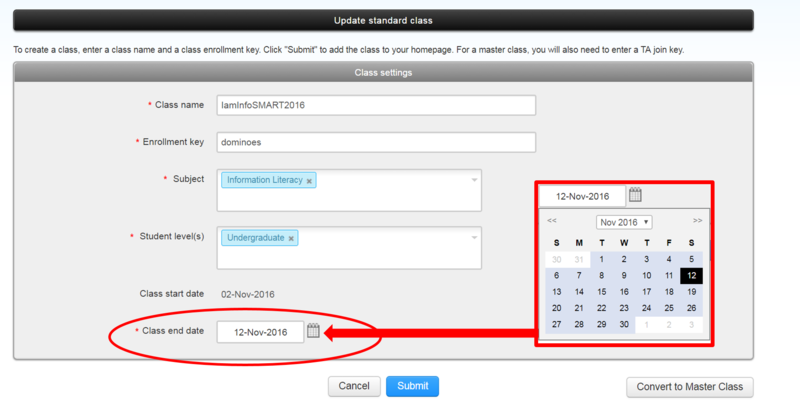 From the Class settings page, change the Class end date. 4. 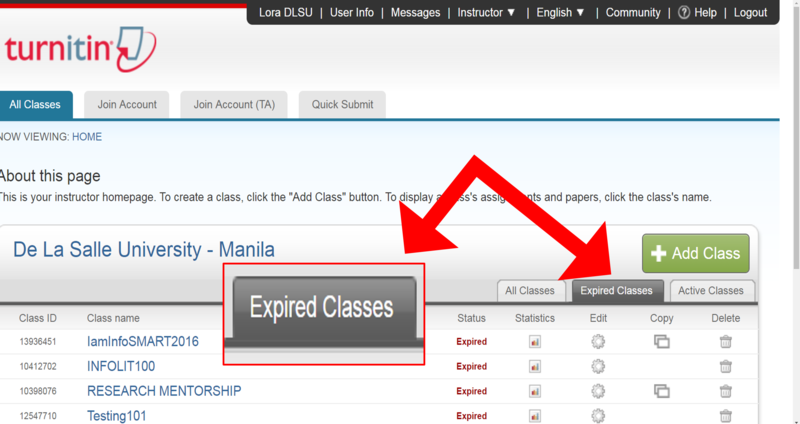 Click on the Submit button to save the new end date of your previously expired class.